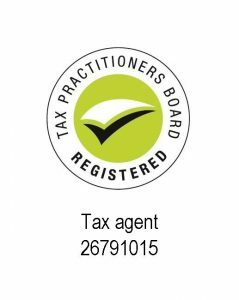 Watts Price Accountants are interested in hearing from suitably qualified people interested in joining our team. 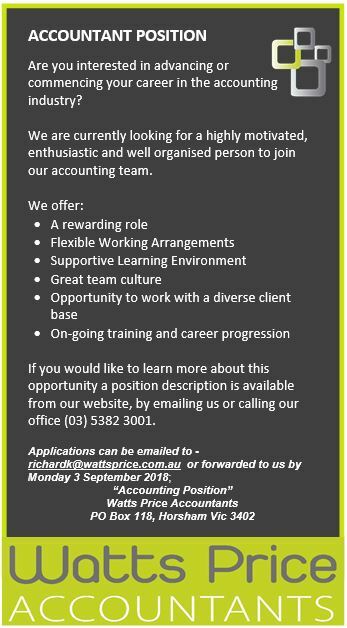 If you are determined to work in a dynamic accounting practice that is client focused and also provides you with the freedom to contribute to the goals of the practice, then we would welcome your inquiry. We can offer you an environment that fosters development and success, is constantly growing, and has many exciting projects underway. We strongly encourage professional development and allow staff to combine study and family commitments with work. Email a copy of your CV to Recruitment or phone our office for further information on (03) 5382 3001.